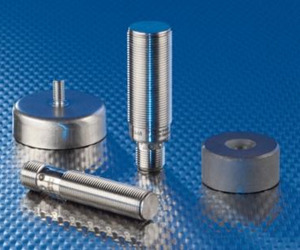 The new magnetic sensors from ifm efector offer ingress resistance in all media. 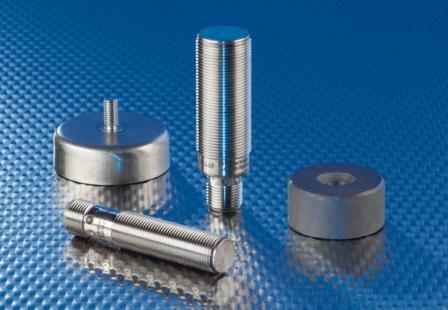 Due to the robust full-metal housing, the sensors are used in long-life applications in hygienic areas and the food industry, and also in mechanically demanding applications on telescope and swivel arms or industrial trucks. The types of this series can be installed behind covers e.g. of stainless steel, which ensures inexpensive and fast mounting. Drilling in stainless steel or adjustment for flush installation is not necessary. Due to the tolerant response behaviour, reliable switch-point detection is ensured even with high mechanical tolerances. The sensors are also used for cleaning pipes to detect pigs through pipe walls. They offer long sensing ranges even through non-magnetisable metals, plastic or glass. The switch point is extremely temperature stable and reproducible. Mutual influences of the sensors are excluded. The food-grade full-metal housing offers IP 69K up to 100 °C. Due to the additional impact, shock and vibration resistance this model is perfectly suited for many different and demanding applications.